Irish Photographers > The IPWS Blog > iPad used to showcase Photographers work. iPad used to showcase Photographers work. 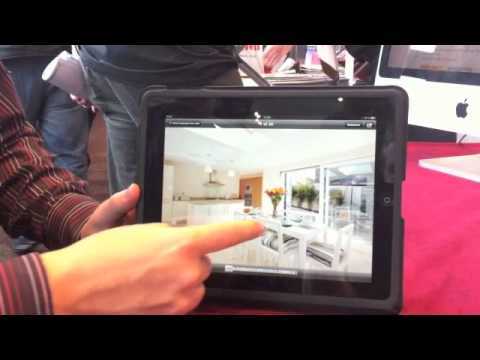 I was at the recent PhotoVision show in Dublin when I got talking with Brian from First Property Photography about the iPad and how photographers use it. While he was showing me his Portfolio Slideshow I took a video of it. This is the result. The iPAD is an amazing tool for us photographers. I use mine in the same way as Brian. Not only is it easier to carry around than a portfolio, it is easy (and cheap) to update and also impresses potential clients. You can also hook it up to a data projector is you want to do presentations to a larger audience. You will have guessed by now that I am a big fan of the iPAD.